I made this dress last weekend and am pretty happy with it. It is taken from a Burda magazine pattern (02/11). I am not super happy with the fit, but my fault for not trying it on a million times and playing with it. The shoulders are a bit wide for my liking, but perhaps I should have cut it a couple of sizes smaller in that area. I altered the pattern to have the zip in the back rather than the side since it had pockets. I like that the dress will be good in summer by itself and in winter with tights and a cardi. I like the pattern and colour a lot so look out for a top soon in my left over fabric! 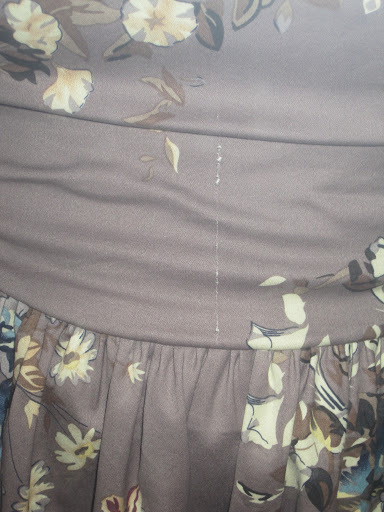 One thing I am not happy about is after I cut the dress and was most of the way through making it, I discovered the fabric has a flaw, right in the middle of the front. I am sure no-one else will notice, or has since I started wearing it, but still it is frustrating. Also, not happy with the puckering under the bust. 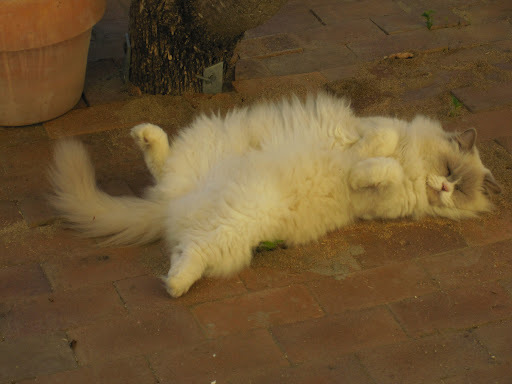 Last but not least, here is a picture of my gorgeous kitty Sundar – isn’t he adorable?! cute dress. I like the pattern.. Sorry about the flaw, that is so aggravating to find , after sewing it up. That has happened to me too.eek!! Happy sewing. This doesn't look bad at all! I like the thinner straps that you used– that's a really cute look! I don't think I did the thinner straps on purpose, it was a by-product of trying to get it to fit in the shoulders. It was a bit wide. Not sure I will use this pattern again.